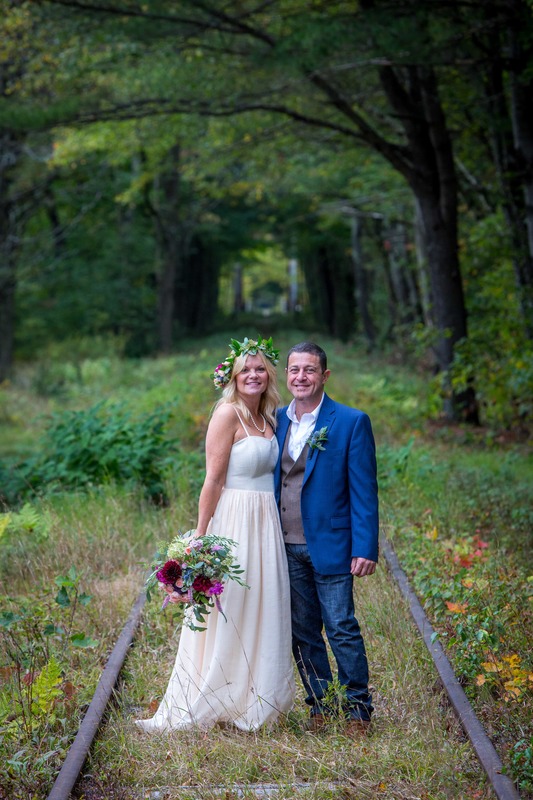 Eve and Dave got married on the 8th of October, and I got to make her wedding dress! It was a custom version of the Tilia, which I made with a blush top layer. 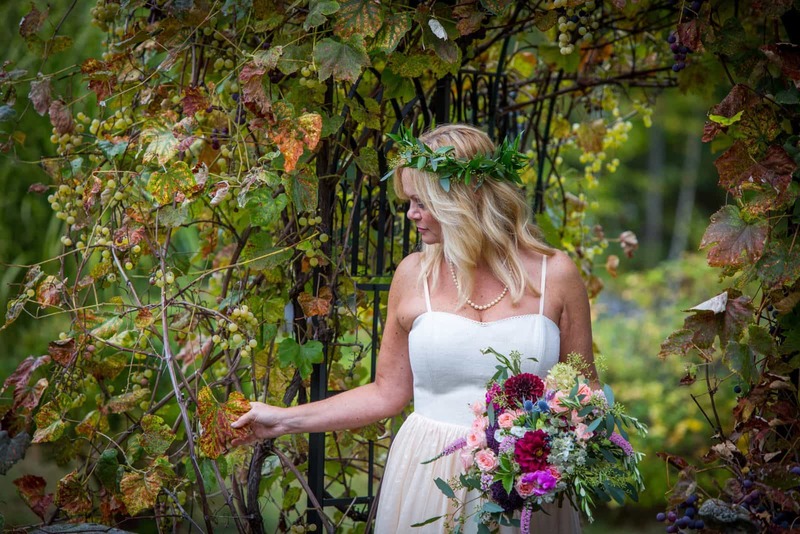 She looked lovely, with all the green contrasting with her colorful bouquet and.. oh that leafy crown! Her message when she received it in the mail was heartwarming! I just put on my dress. It is absolutely beautiful. I could not be happier! You are such a talented designer and seamstress. The fabric is luxurious, the subtle blush color is just lovely, the shrug fits perfectly and is so pretty the way it gathers at the sleeves. Even the box it came in and the handmade card were special. I thank you from the bottom of my heart for your hard work, attention to detail and always responding right away when I had questions. Please tell me where I can write a glowing review for you. You deserve all the business you can handle (or wish for). I will email you a wedding picture next month.